Any warehouse needs organized setting in which products can stay stacked properly so that it will be easy for their staff to retrieve it whenever they need it. Industrial Warehouse space calls for innovative solutions and pallet racks come handy when it comes to dividing the whole storage structure into clear shelving. To ensure all the products are distributed and placed perfectly, it is pivotal to follow the specific codes of pallet racking installation and its safety. To begin with, pallet storage racks are different from normal shelving where products are kept in large wooden pallets and then put directly into shelves. Installing pallet rack shelving is a task that requires good care and conscious thinking since any bad move can spoil the ideal picture of the warehouse structure that you have conjured. 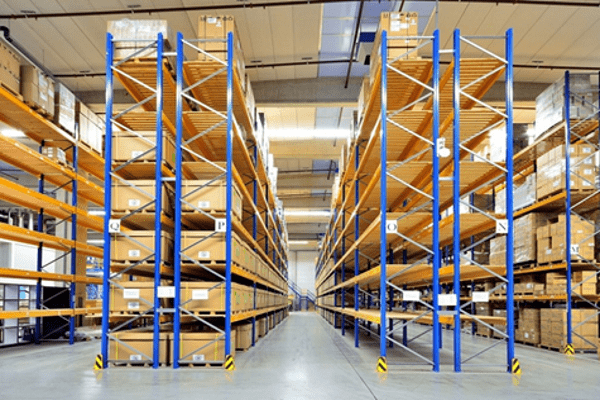 So if you have decided to opt for pallet racks to organize warehouse content, there are several aspects of pallet racking installation and safety you should bear in mind. If you have not done proper installation of pallet racking in your warehouse, you are likely to bear unexpected risks, improper products placement and compromised efficiency of pallet rack organization. Undesirable confusion will continue to linger if you don’t remain careful while installing pallet racking. Pallet rack shelving is designed to contain large quantities of merchandise in a limited space, but you would see horrible damages on account of being unable to load, unloads and extract products from its shelves in case of emergency. Poor installation also means the structure of racking is vulnerable, which further enhances risk for your warehouse. As a pre-installation step, you need to make a strategic plan of where racking pallet will be fixed. Make sure the place you select in warehouse for installation matches your business objectives. Measurement of the whole space is crucial to making sure the racking you have planned will perfectly suit the space. It will help what challenges and issues you will face while erecting the racking. To make installation more convenient, latest equipment like laser guiding will prove accurate and precise in measuring the space. Use chalk or other highlight markers to mark the flooring for smooth pallet racking installation. Then comes securing the uprights, for which you need to choose desired location to securely fix it to the floor. This calls for drilling into warehouse flooring so that upright can be fixed therein with proper bolting. The same way opposite upright can be placed, and a beam section can be considered to maintain the right distance between all the uprights. You can slot in the beams manually on the upright using hammer or similar tool to push into place before locking them to the upright. You may use timber for decking purpose on top of beams and enhance stability of the structure. After you have secured racking system following these steps, start loading the products as you desire in an unforgettable arrangement. 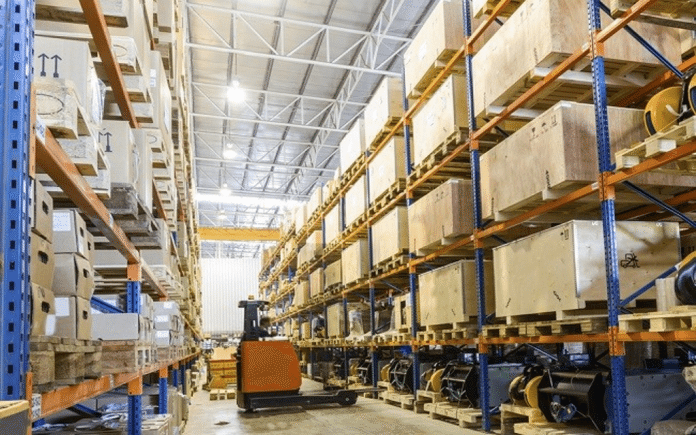 If you ever underestimate the role of high quality lighting inside your warehouse while pallet racking installation, the place will be at risk of falling apart and unfortunate accidents will become more likely. To minimize the chances of trips and hits, avoid keeping the warehouse space dim-lit. Brightness of the room will enable the staff to find the products. Also, good lighting will increase the readability of letters on the product packings. If you have spent some time in warehouse, you would realize how susceptible rack aisle corners and ends are to the possible impact of a forklift truck. Hence as a precaution, install steel guard rails and post protectors to save rack ends from being damaged. This is worth consideration since any accident will cause you to pay a huge repair bills. Read manufacturer’s instructions carefully in relation to the capacity of racking. This is an important precautionary measure through pallet racking installation process. With that being said, don’t be overexcited while placing heavy products in shelving as you desire. Don’t exceed the limit of the racks no matter how pressing the requirement of your warehouse is. Proper training provided to warehouse employees will enhance their understanding of how much capable each rack is of enduring specific weight loads. It is the best warehouse practice to mention the weight limit on a rack.